If asked “Who played an important role in the musical career of Ella Fitzgerald?” you might respond with names like Chick Webb, Louis Armstrong, Norman Granz, and Dizzy Gillespie. The name Marilyn Monroe (who passed away 50 years ago this August), however, might not come to mind. During the ’50s, one of the most popular venues was Mocambo in Hollywood. Frank Sinatra made his Los Angeles debut at Mocambo in 1943, and it was frequented by the likes of Clark Gable, Charlie Chaplin, Humphrey Bogart, Lauren Bacall and Lana Turner. This is a great story, but entirely accurate? I seem to recall four or five “black” singers at the Mocambo before the great and beautiful Ella. A similar story, which I got directly from the man, was about the NFL back in those old days, those good old days. This was the real founder of the NFL Players Asso. Mr. Kyle Rote was then captain and playing for the NY Giants. As they traveled to games the “black” players slept in seperate hotels, (for “blacks” only). Kyle Rote didn’t cotton to this and decided to stay in the “blacks” only hotels. This was the real basis for the formation of the NFL Players Association. I would like to think it also furthered that which is right. In his later years Mr. Rote supported many organizations. One whose work he greatly appreciated is Focus Adolescent Services, http://www.Focusas.com / He had his reasons and I have mine; they save American children and families. If your heart tells you, send them a gift at least to help support their free national help line. We always are so happy when we see that folks still love Ella. 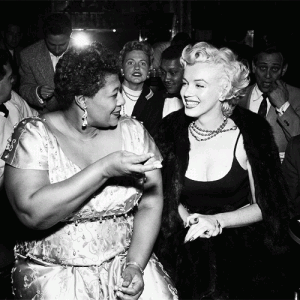 And yes, she and Marilyn Monroe were friends. And yes, Ella did break a lot of barriers during her 50+ year career, with much of the credit going to her manager (and friend) Norman Granz. 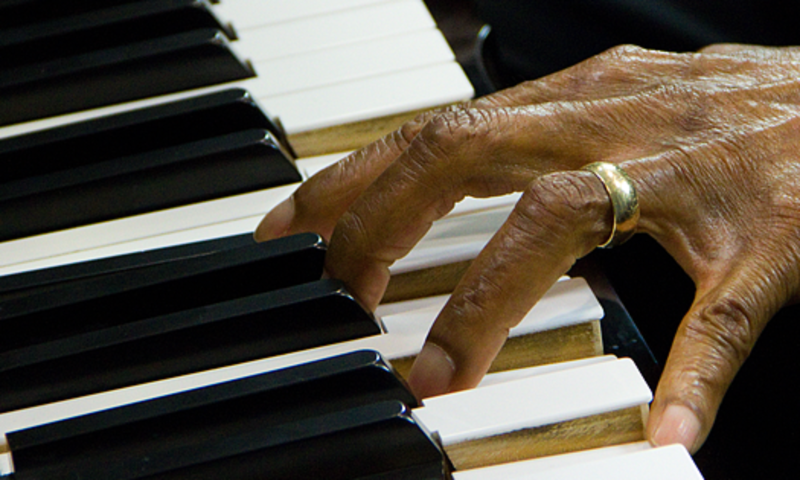 Norman refused to let his artists play to segregated houses. For more information, please see the fantastic biography of Norman written by Tad Hershron: “Norman Granz: The Man Who Used Jazz for Justice”. We also want to tell all of Ella’s fans that there is now an official Ella Fitzgerald Facebook Fan Page – lots of fun memories to share. Leslie N Shaw if it were true is the black gent who had the affair with Monroe. He was the first black post master in Ca as Oct 1st 1964. I give Marilyn her due for helping Ella, but I cant stand the thought that a bigot profited from this exchange.It would have been better if Marilyn made a deal to attend a club that did not discriminate and treated Ella with the respect she deserves. Black girls are very exotic and, they are a really different type of females. There are so numerous stereotypes linked with black women and, you will find the women extremely exciting. The ladies can be discovered in all parts of the world and, the most popular black ladies are African Americans. since this this web page conations truly fastidious funny stuff too.